As usual in the last 10 years, Vaslui Municipality, in collaboration with “The County Center for Preservation and Promotion of Traditional Culture” and “County Museum – Stefan cel Mare” organised the “Easter eggs. 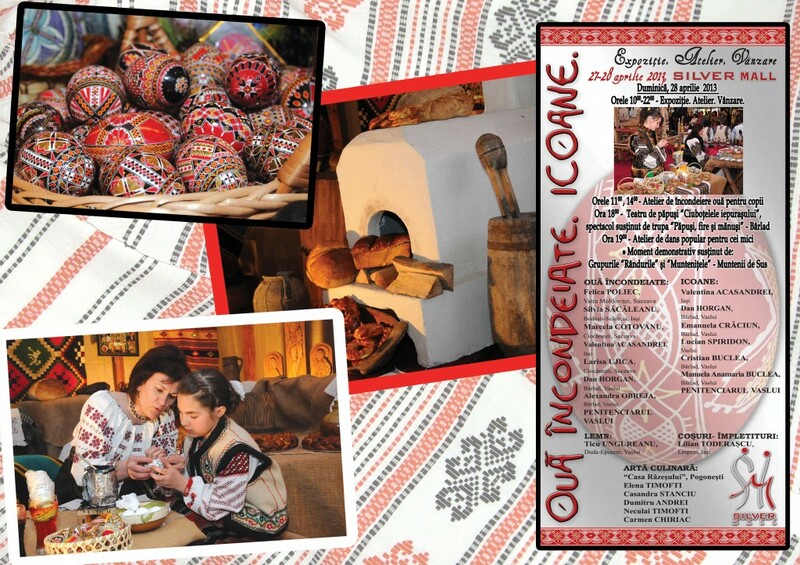 Icons” Festival that presents to the audience authentic values from Moldova, related to the Easter holidays. It’s primarily target is to illustrate the specific features of the related crafts that are linked to this really special period: painting or writing eggs, presentation of Romanian traditional culinary art, technique of painting icons and also making various religious objects of wood or other materials, all of this introducing us in the sacred atmosphere of this long-awaited moment for the entire community. The purpose of the event aimes preserving and popularizing, especially among young people, of the specifically traditional Easter crafts. During this event culinary specialties of the fasting period was cooked and tasted, when only vegetables and fruits are consumed. The festival ended with a folklore show.